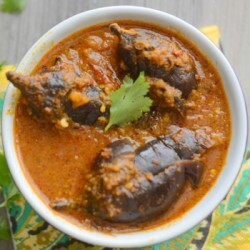 A traditional Maharashtrian dessert, this dish is popularly prepared on Diwali, Ganesh Chaturthi and many other festive occasions. Extremely filling and delicious, a perfect PooranPolirequires some practice- the first few times it may break or the filling may come loose. But don't worry, just sprinkle some flour on it and enjoy! 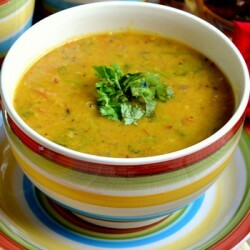 Soak daal for about 4 hours in normal water or 2 hours in warm water. Boil daal in pressure cooker in 1 cup of fresh water. Cook daal for 4 whistels. Daal should be cooked but not mushy. Heat 1 tablespoon ghee in a pan, add mashed daaland jaggey.Keep it on low flame. As the jaggery starts melting, the mixture will thicken. Add cardamom, saunf and nutmeg powder before taking it off the flame. Mix well. Let the mixture cool down and prepare the dough. Mix flour and salt together. Drizzle oil and lightly knead the dough. Keep adding water to smoothen dough till it becomes soft. Cover and keep aside for 15minutes. Make a small ball of dough and pooran. Flatten the dough and stuff it with the pooran ball. Seal the mixture by pinching the edges of the dough and flatten it between your palms. Dust this with flour and gently roll with a rolling pin. Put pooranpoli on griddle/ tawa. Smear oil or ghee on both sides and fry till it turns brown, turning regularly.